Capitol Complex is a building which houses the seat of government in the city. 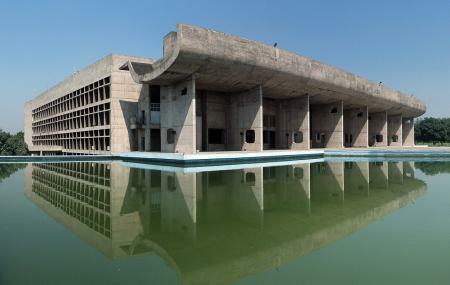 The building, designed by the talented Le Corbusier, has many works by him within its premises. The building has three main divisions, the Secretariat, the Legislative Assembly and the High Court. Visitors need special permission to enter its grounds from the tourist office or the High Court. This marvelous piece of architecture is a heritage structure of the city. How popular is Capitol Complex? People normally club together Chandigarh Botanical Garden And Nature Park and Le Corbusier Centre while planning their visit to Capitol Complex.